The protest movement, doing well in opinion polls, has named a 31-year-old lawmaker as its leader. Luigi Di Maio’s cool appeal contrasts with founder Beppe Grillo’s vitriolic style and may win over moderate voters in 2018. But going mainstream could undermine its basic appeal. Italy’s 5-Star Movement chose lawmaker Luigi Di Maio to be its new leader and candidate for prime minister through an online contest on Sept. 23. Di Maio, who is 31, was elected to parliament in 2013 and is deputy speaker in the Lower House. Di Maio said that, in case of victory in next year’s general election, he would try to negotiate changes to European Union rules that cap national deficits at 3 percent of gross domestic product. He told Reuters his priorities would be cutting wasteful spending and reducing government debt, forecast to fall below 132 percent of GDP this year. 5-Star is backed by 26.7 percent of voters, giving it a narrow lead over the governing Democratic Party’s 26 percent, according to an opinion poll by Euromedia Research published on Sept. 25. Around 57 percent of those polled consider Di Maio unfit to rule the country. 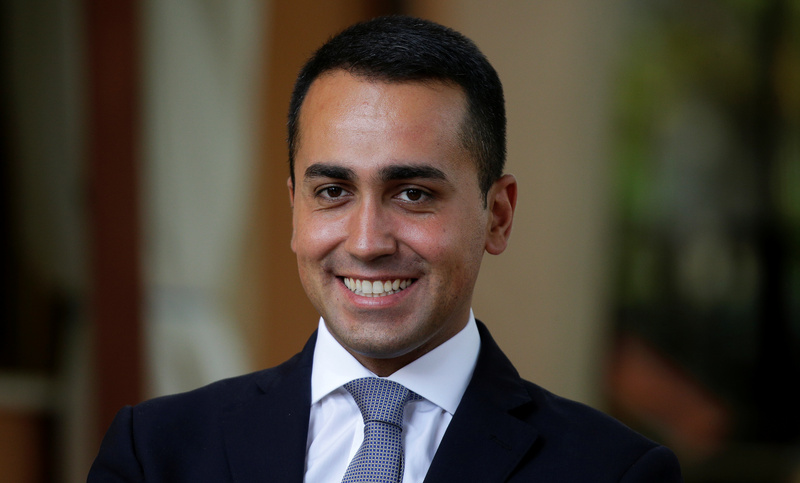 Earlier this month, Di Maio told an audience of Italian entrepreneurs a referendum on membership of the euro should be considered only as a last resort and should be aimed at extracting concessions in Brussels.